The West Essex Children’s Occupational Therapy service supports children and young people with physical, sensory impairments, developmental and cognitive needs that impact on their daily life. 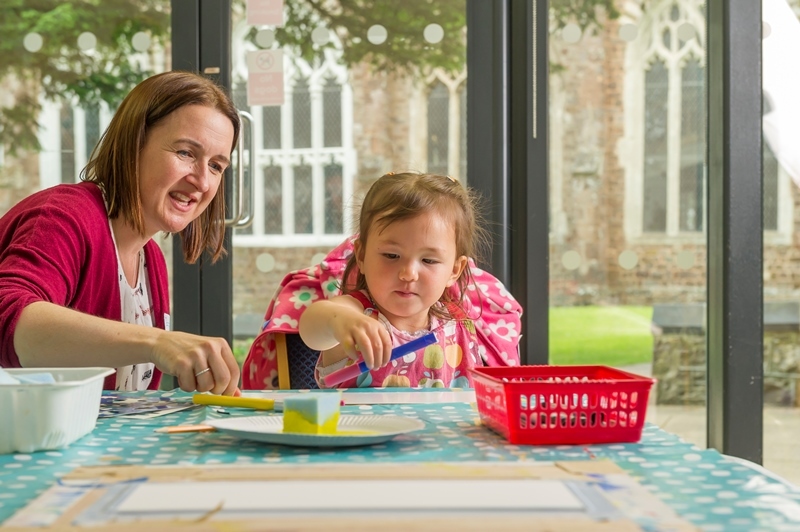 We support families across West Essex in a variety of settings, including clinics, schools/nurseries and your home. All children and young people have a very important job to do. They have to grow, learn, socialise and play. Children do this every day by exploring the boundaries of their abilities. When they’re successful, they develop and thrive and the sense of achievement they get usually makes them happy. Children and young people with learning, physical, sensory, developmental, and cognitive difficulties can have their ability to grow, learn, socialise and play delayed. They might find it difficult to cope with basic functional activities like getting dressed or brushing their teeth. At school, they may struggle with activities such as writing, cutting or participating in PE. Occupational therapists work with children and young people, parents/carers and teachers to find solutions that minimise the difficulties children face, because we recognise that you know your child best. If you are concerned that your child is experiencing difficulties with two or more functional activities, you should speak to your GP, school SENCO or health professional about whether a referral to the occupational therapy service would be valuable. There are tools and strategies that can be used at home to help children and young people who have difficulties which might require help from occupational therapists. You could view the help pages to the right and try the toolkits below with your child over the course of a few months. We will contact you if we require more information about your child. As we’re not the only occupational therapy provider in Essex, and depending on the difficulties your child is experiencing, we may need to arrange that the request is forwarded to another provider. If we accept your child’s referral we will aim to see them within 18 weeks, but there may be variations to this timeline. While you wait to be seen, you could trial the strategies in the toolkits, if appropriate, and recording progress will benefit your child as you can share these results with us during your assessment. A young person must be demonstrating two or more functional difficulties such as self-care, school work, accessing play and leisure that are impacting significantly on their daily life. We do not provide a service for sensory processing difficulties alone nor do we see children who only have behavioural challenges.